I’ve always wanted to go to Coachella and finally got to experience it this weekend. The heat made for one hell of a desert feel, so to keep comfortable I wore shoes/boots and denim shorts. It was amazing watching so many talented artists perform live within such a short timeframe. It’s crazy how great some bands and artists sound live, and the energy of the crowd only enhanced the performance. Some of my favorites included Snoop Dogg & Dr.Dre, Miike Snow, M83, Santigold, Justice and of course Swedish House Mafia. We weren’t able to bring professional cameras inside Coachella (& I wasn’t trying to carry it around with me either) so all these photos were taken with my handy dandy iPhone. 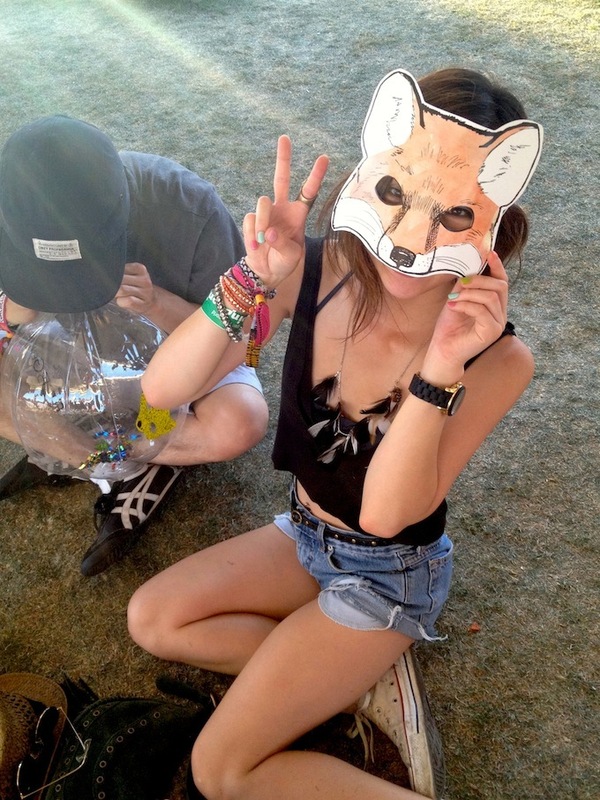 My dear friend Jessica that works for BCBG brought us these cute masks from work to wear at Coachella! We’re both not ready and look somewhat moded (hah remember that word) but this is one of the few pictures I have that capture my whole outfit. I also liked how the fringe on my bag appeared in this photo. 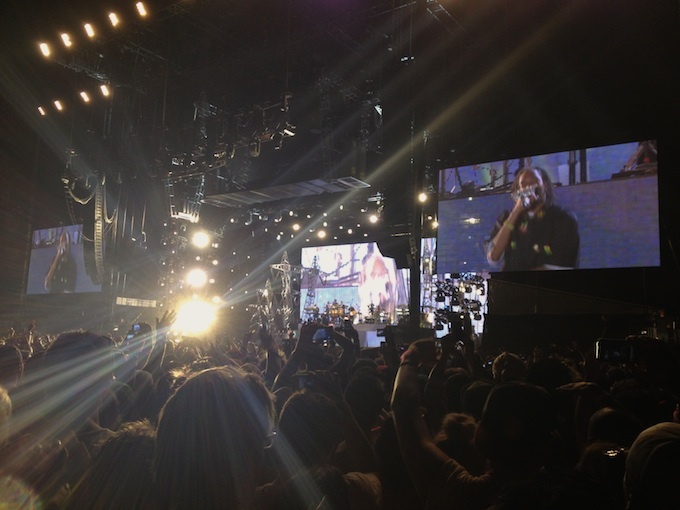 & of course I couldn’t leave this post without adding at least one photo of a show, so here it is, Snoop Dogg doing his thang at Coachella! This looks like such a great time! 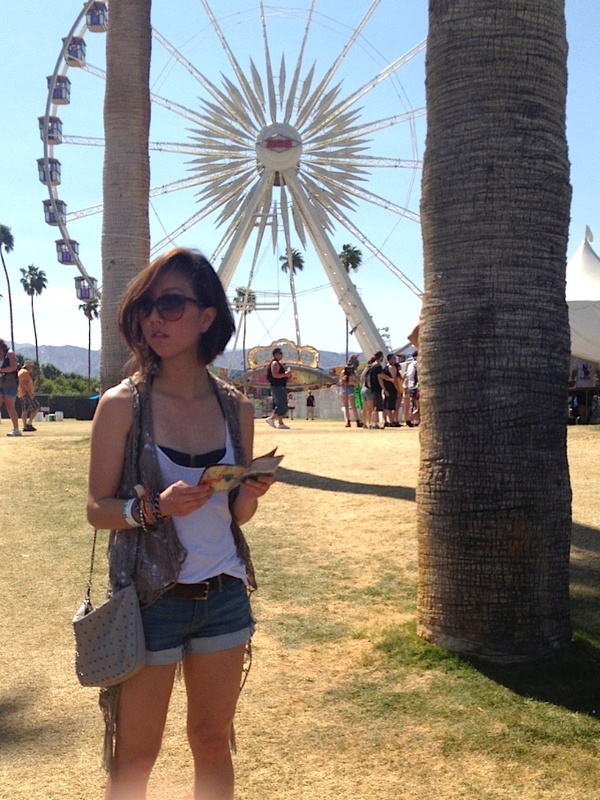 Love all of your outfits – so beautiful and perfect for Coachella! What a fantastic place ! Coachella looked fantastic! Love the cut-off shorts. Aw man, so jealous you got to go! Looks like a fantastic event. ahhh you really went to Coachella! Hope you had so much fun! Looks so fun and hot! 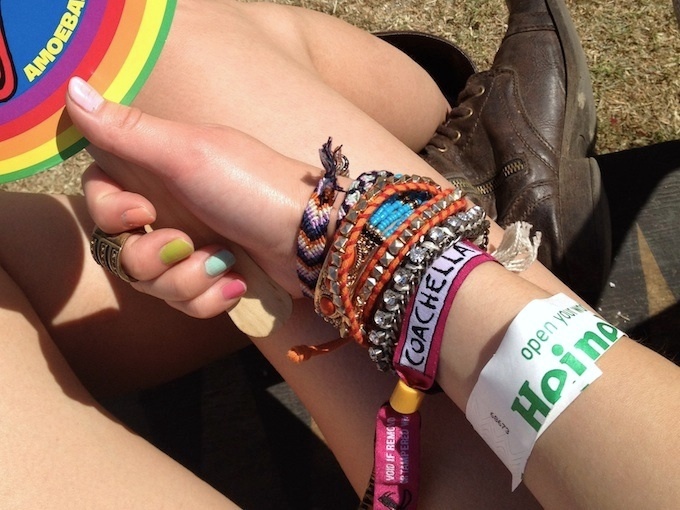 Really cool coachella styles!! And looks like you had great fun! WOW! You're a lucky girl! I want to go one day! I love your outfit and your necklace is amazing!